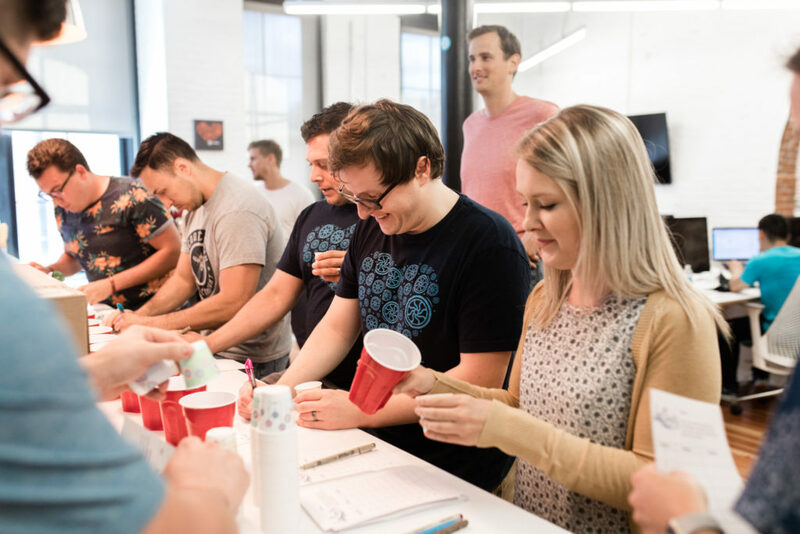 While one of our Flywheel values is “We are hungry,” we also stay thirsty. 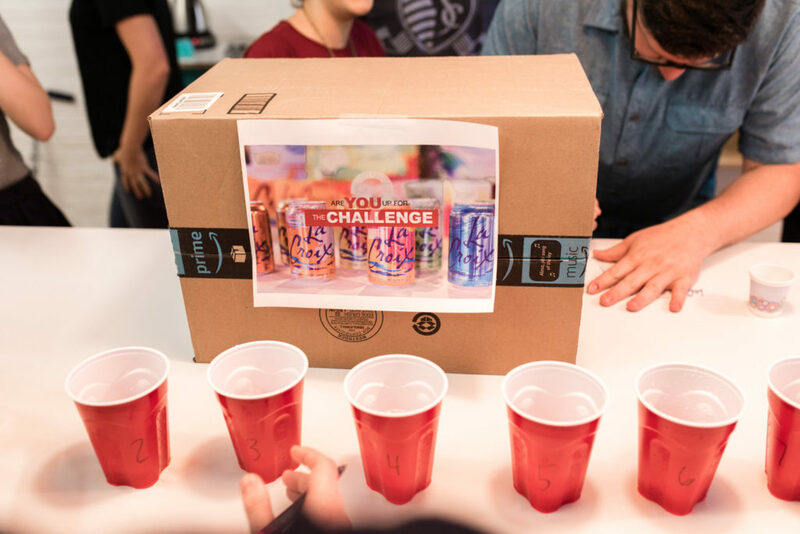 And when looking for something delightful to drink around the office, there’s one clear winner: LaCroix. A popular alternative to sugary sodas, cans of LaCroix are a signature beverage here at the Flywheel HQ. With an average of 52 cans consumed per day (yep, that’s a real stat we pulled!) you’d think we’d know our stuff when it comes to flavors, right? That’s what we thought too, so we decided to put our knowledge to the test. The challenge? A LaCroix taste-off! The process was simple enough. 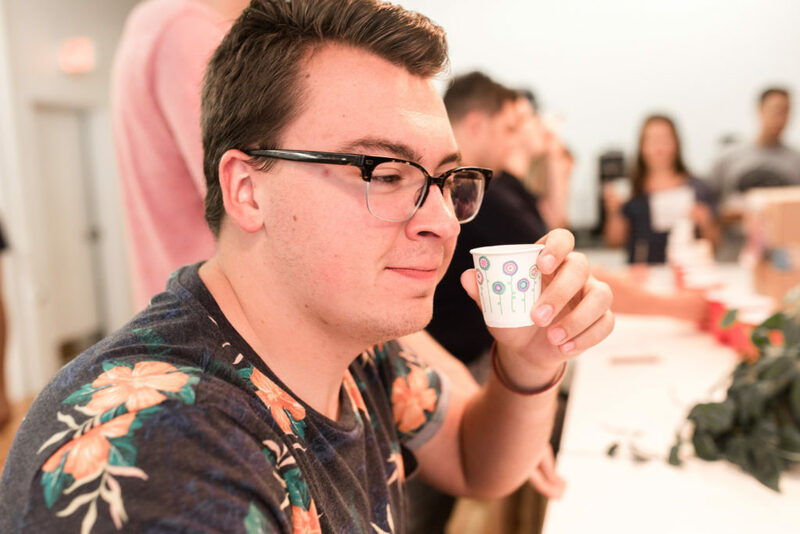 Led by one of our fearless interns, Liz Ernst, we started by pouring out small samples of different LaCroix flavors into small cups. Fun fact: Despite the colorful cans, every LaCroix flavor is actually just a clear, carbonated beverage. it’s impossible to know what flavor you’re looking at once they’re poured into something else! Once everyone submitted their final answers, the guesses were graded. And it turns out – most of us are actually not very great at relying on our sense of taste! The majority of Flywheelers walked away with a 4/10, but we did have two clear leaders: Johnny and Nathan, who clocked in at 7/10. Which meant – it was time for a tiebreaker! So we advanced to the very official sudden death round. Both contestants were given a cup with one flavor in it. This time, it wasn’t just about guessing the flavor – it was about speed, too. The stakes were high and the pressure was on! Nathan went for the speed strategy – only to incorrectly identify the tiebreaker flavor! 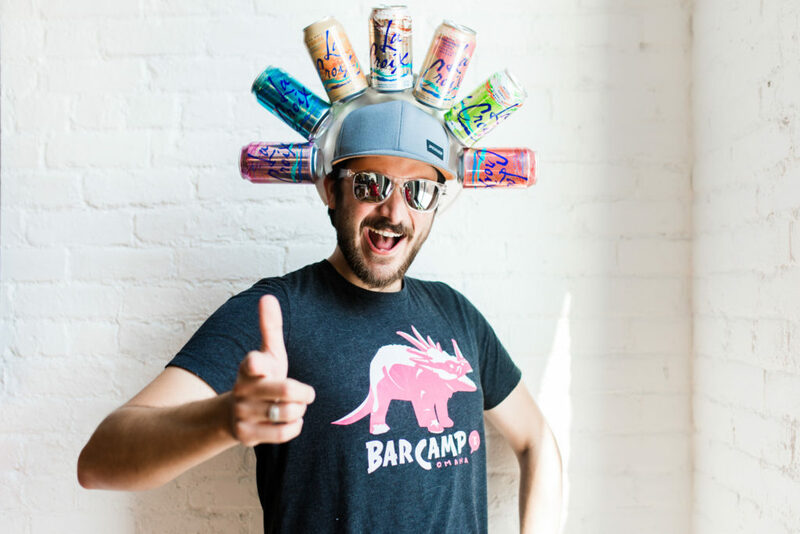 That left Johnny with all the time in the world, allowing him to correctly guess our tiebreaker flavor (grapefruit) and take home the (literal) LaCroix Crown. 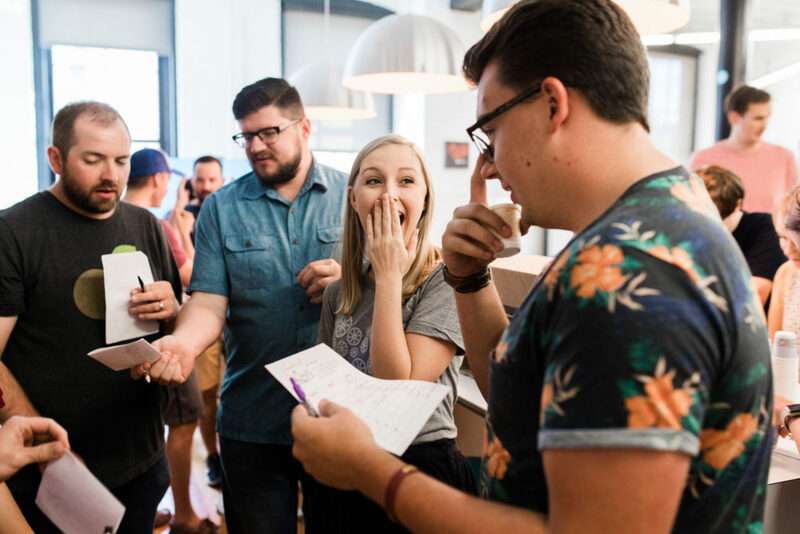 It may seem like just a silly contest, but events like these are part of what makes Flywheel, well, Flywheel. 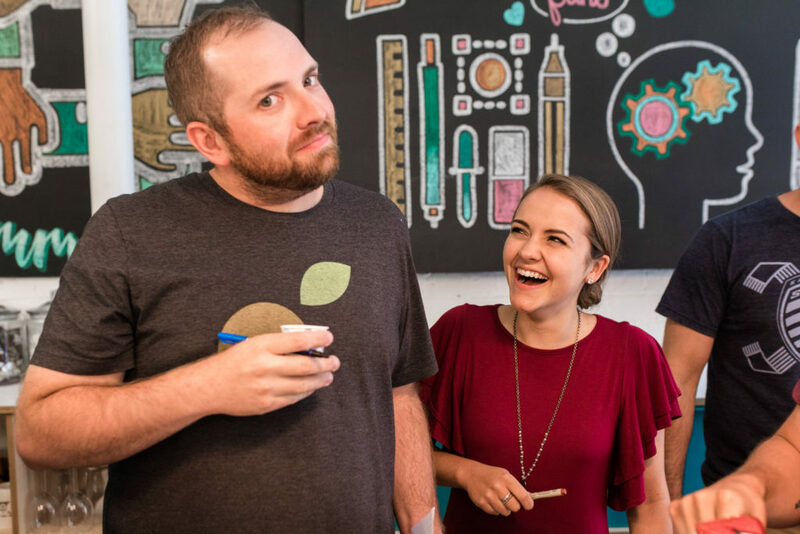 We love our fun, creative culture, and are incredibly intentional about keeping it!